Uniting beauty and science with luxury, you can rely on Hourglass’ seamless, simply sublime range for a miraculous addition to your make up kit – especially if it’s this breakthrough mascara. The endlessly buildable formula features a fusion of hard and soft waxes that create volume, length and definition with every stroke from the double action brush, which intertwines two single brushes into one to coat lashes for a full 360-degree angle. Smudge-proof, clump-free and infused with conditioning panthenol, this won’t let you down. 1. Apply to lashes from root to tip using long upward strokes. Layer until desired effect is achieved. 2. 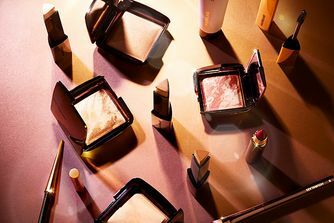 For maximum effect, apply a second coat before the first application dries. This is seriously the best mascara I have ever used. I got a small sample size in an xmas box and have since bought a full sized one. It makes my small straight lashes seem lush and full and retains a curl from using curler, such a nice product. Also I'm often sensitive to eye products, but have not had any reaction to this one at all. So happy! This is seriously the worst mascara I've ever had: it gives no volume or whatsoever, in fact, it makes my lashes look thinner than they are. Never have I ever experienced anything like that...Definitely won't repurchase it! I absolutely love it. I have invisible lashes but this mascara makes my lashes so full of life. It's the best vegan mascara I've tried so far. It took a few attempts to get the correct lash coverage, it was quite easy to overload the brush. As a contact lens wearer I think it irritates them a little but not badly. It does smudge, I'd like a waterproof version but I'm not sure if some of that is down to my moisturiser given other reviews. Really great mascara. As well as the beautiful packaging which makes it lovely to hold and gorgeous to look at, the mascara itself is plentiful and goes on a treat. It lasts all day, and I love it. Don’t delay buy today, you won’t regret it! Really disappointed. Had hoped that it would hold a curl, since everyone commented how well it sits (no smudging under the eyes), but no such luck. Just dry and chunky looking. No smudge even when sleeping or yawning...makes eyelashes longer naturally. The mascara looks great and does not need many coats to get a good effect. However, the journalist who recommended it said it needed a very good make-up remover to take it off, but I've found that tears work well. In cold weather, my eyes are sensitive and I can cry as soon as I step out of the door. Not a good look. But, it looks great as long as 1) it isn't too cold or 2) I stay indoors . Other than those factors, it looks great! 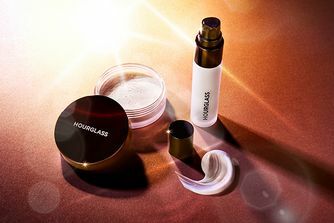 I love hourglass products but I wasn't a big fan of this. I found it kind of difficult to use - quite clumpy especially at the ends of my lashes, I found myself always having to pinch the ends of my lashes after so they didn't look so caked with mascara. It does last all day but I didn't like what it looked like in the first place so this didn't really make a difference to me. I went back to my urban decay perversion mascara after a few uses of this. This has to be the best mascara I’ve ever used. My lashes are dark, but grow straight out at 90 degree angles. They don’t hold a curl, so they never look long. Until this. The formula is sufficiently ‘strong’ enough, to dry quickly and hold a curl, even without lash curlers. I also find I really only need one coat which lengthens beautifully and best of all, it must be the blackest mascara I’ve ever used too. I’ve been using this for the past two weeks. No flakes and no smudges. It removes easily with an oil based remover ( for me) absolutely love it. I can leave without any cosmetic product apart from mascara. And I have tried many.... from Benefit and Lancome to Terry and Chantecaille Faux Cils. Also, I would spend as much as necessary for a great mascara, but I was delighted when I found this average priced one that gives amazing results. It is not clumpy, it doesn't smudge and it looks great for a whole day. If you need a great mascara, just buy it. Don't be put off by the bad reviews, they must be attributed to a lack of skill in the application which I also don't get as it is so easy to apply. Very clumpy, very flaky.. didnt do my lashes any justice. Will stick to my Stila one! Worst mascara I have ever used. Terribly clumpy. I tried it twice thinking usually hourglass are fab and love everything I’ve ever tried...but this is beyond terrible! I’ve used really cheap mascara that does a much better job. Save your money unless you like spider leg lashes. I was so excited to buy this, but from the first use it seemed to clump on my lashes and within a few days it became dry and flaky and shed under my eyes. It even made my eyes a bit sore, very disappointed with my purchase. Don't waste your money. Back to eyeko for me! I was so excited to try this mascara. I am definitely a mascara addict and have tried almost every brand on the market over the years. I always end up reverting back to Lancôme definicils as I like long and defined lashes that are not clumpy. 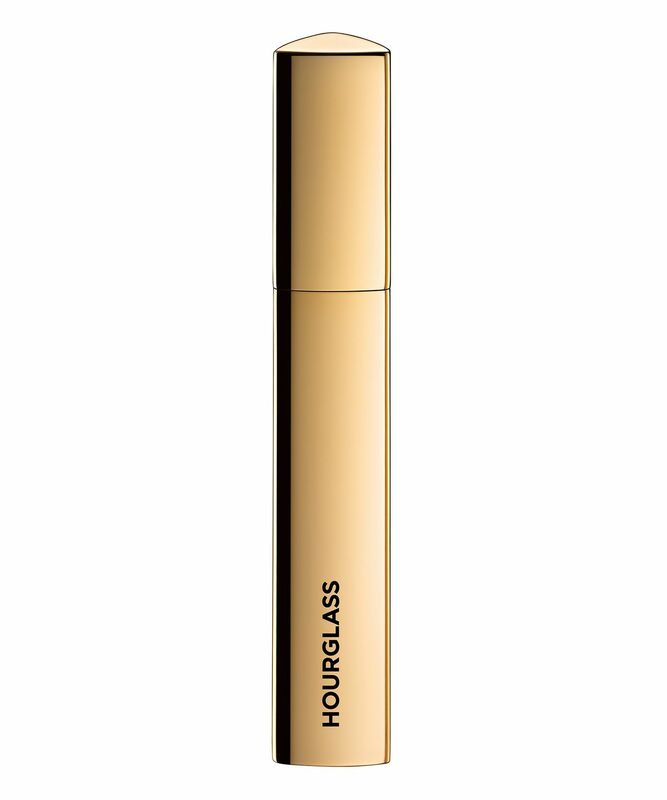 My first try with Hourglass was great and I thought it might even surpass Lancôme. However over the next few days the effect was not so good and it started to clump badly. One week after I opened it I had to throw it away. It clumped, flaked, went all fibre like and left deposits (dots) all over my under eye. I always ensure I close the wand tightly after use so I cannot understand how this happened. All in all a waste of money and very disappointing. This mascara is amazing, I like mascaras that lengthen and give a bit of volume, but I overall like the wispy look to my lashes - and this gives it. It's also completely crying proof, No smearing, no streaks, NOTHING. Very easy to use. Only needs one application and it gives dramatic lashes. I have fine/thin lashes but this makes my eyes look bigger. And the mascara does not flake. This is the third time I have bought this mascara because its SO GOOD! I love this mascara for the first few weeks, it’s strong, and builds a good wide eye lash, but find that it quickly changes consistency and becomes clumpy and dry on the lash. It really doesn’t last long, so for that reason, I won’t be buying it again. I've always been a fan of drugstore mascaras, though most of my make up is high end, I never believed in high end mascaras. I've decided to try this mascara by Hourglass, after a recommendation from my friend. The packaging is gorgeous, and it feels heavy and luxurious. As for the product itself, I like the formula, it looks somewhat natural, gives length to your lashes, doesn't smudge, though it can be a bit clumpy if you try to build it up, and that's the only thing I disliked about it. Over all I liked it, but I still believe drugstore mascaras are great even if you're a high end make up lover. This is the best mascara I have ever used. Gives you extreme length and thickness which lasts all day. Will definitely purchase again. One of my favourite mascaras ever, this is already my second one. It gives your lashes great length and volume without clumping. Great mascara, no clogging. Long, full lashes. This is the mascara to end all mascaras. I’m a bit of a makeup fiend, and have tried every mascara under the sun - high end, affordable, mid range... this one is wonderful. It lengthens, volumises, and stays on all day and all night. It does not flake and unlike some mascaras, it’s awesome from the moment you open in first - no need to use it a few times to get rid of that annoying initial “wetness”. This is my new go to and I just purchased two more just so I never run out. Stays put like it's waterproof; love this! I don't understand the bad reviews! This mascara is really great. It also stays put like it's waterproof. The packaging is so luxe and there's a ton of product. I needed a few tries to figure out the best way to apply: the brush picks up a lot of product, so while pulling the brush from the bottle I wipe off the excess product and then use that side to paint my lashes. I don't curl my lashes, but I'm sure that if I did and then used this mascara, it'd keep them up all day - it's that good. I used to love W3LL PEOPLE's mascara, but it's been discontinued at CB, and I've tried plenty to find a suitable replacement that doesn't smudge or looks clumpy. If you apply this gorgeous mascara like I mentioned above, its just right. Will forever repurchase. I'm really happy with this. I have tried so many (maybe tried all of them?) on the market. This is the best. Full, thick lashes and it stays all day! No black shadow or residues under the eye – love this formula, as it is not waterproof but sticks to the lashes and is easy to remove. Genius! I was so excited by the idea of this mascara, and absolutely LOVED the packaging when it arrived. I was thoroughly disappointed when I first used it - my lashes looked thick and clumpy for the first time ever. I've learned a trick to use it - curl my lashes, use a more 'gentle' mascara (in my case Glossier), brush through with a spooley, let dry, re-curl, and then do a coat of the hourglass and brush through a lot. My lashes look beautiful after that but on its own it was horridly unnatural and clumpy in a way I've never experienced before! I’m a makeup ignoramus, so went with a Sali Hughes recommendation on this. Lashes are now longer than The Complete Works of William Shakespeare. And given that my skin is greasier than an Alaskan seabird post Exxon Valdez, it’s stayed put. There is no transference at all. Bloody lovely stuff. I've tried lots of high-end mascaras but this is by far my favourite. It adds lots of lengths and it is very easy to apply more coats. It isn't clumpy at all and wore well for 10 hours. I used to use Stila HUGE lash for my mascara, and I still love it but I was curious to try this one out. This lengthens like crazy and sort of creates volume to, but I still feel like Stila does it all a little better. All in all, good mascara but not sure if I would buy again.